Dr. Lillian Glass, world renown communication expert is the original author of the best-selling book since 1995 Toxic People®. 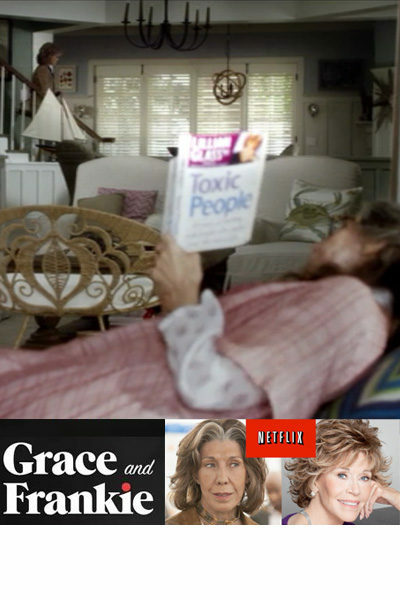 Through the popularity of this book she coined the phrase “toxic people” used in today’s vernacular. There are people who make your life miserable- a spouse, a parent, lover, friend. boss, or co-worker or even people with whom you do business. They can make you feel inadequate, worthless, causing emotional and physical distress. Dr. Glass has categorized 30 types of these “Toxic Terrors” from the “The Opportunistic User” ,”The Control Freak “, “The Me Myself and I Narcissist”,”The Instigator”, “The Meddler”, The Arrogant Know-It-All ” “The Wishy Washy Wimp”,and the “Liar” to name a few. Not all of these Toxic Terrors are toxic to everyone, They may just be Toxic to you personally. 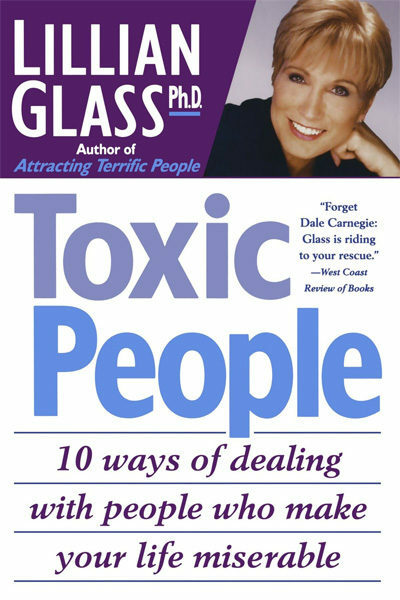 Dr. Glass gives you simple strategies to find out who is specifically specifically toxic to YOU. Not only does she help you identify the Toxic People in your life, she also provides 10 proven techniques for successfully dealing with them, including: Tension-Blowout, Unplugging, Direct Confrontation, Humor, Giving Them Love and Kindness,Mirroring and other techniques. This book provides answers to the age old problem of how to deal with and heal from anyone who has caused havoc in your life and made it miserable. Lillian Glass writes a highly intelligent book on how to deal with the negative people in this world who live to create tensions for others – and let’s face it, they’re everywhere! I originally bought the book because I worked for a very difficult woman(she was what the author referred to as “The Competitor”). I needed some advice desperately, and this book came to my rescue all the way. It offers ways in which to recognize toxic people, and many strategies on coping with their behavior. It helped me learn how to deal with negative behavior tactfully and maturely. There aren’t many books on the market today that offer that. I followed the tips and suggestions, and my interpersonal skills have improved dramatically. I am in total agreement with the author about how the cause of most toxic behavior is rooted in jealousy. As for some of the negative reviews on this book—-quite frankly, I’m baffled. I felt the author was extremely astute. I myself, found the book to be very helpful and insightful. Dr. Glass I read your book “toxic people” for over 10 years, I read it from time to time, I recommend it to those around me, is my favorite book, it is thank to this book I started my odyssey in personal development, soon I will start reading your new book ” how to surround him self with extraordinary people” thank you again Ranya from Tunisia. This book opened my eyes to the truth about people on June 2 by Adam M.
If you find that people constantly disappoint or amaze you with their actions and words, this book can be used as a great reference. It is highly enlightening and a good tool on how to deal with other, situations and yourself. Only intelligent readers can use this book discriminately and see the humor in all types of people. It changed my life in such a positive manner- I’d recommended it to the young and old in any profession.